In Germany Representatives of German business fear that China will swallow Europe with unfair competitive methods and suggests introducing concrete measures against expanding Chinese business. The document of the Federal Association of German Industry (Bundesverband der Deutschen Industrie, BDI) states that the European and German industry must become "resistant" in the face of the Chinese threat. “European and German industry with a liberal and social market economy model still holds strong positions in the global market. But China is becoming stronger, and the European Union must be careful not to lose control of important technologies of the future, such as artificial intelligence. Therefore, the EU should stand up to China more, ”Der Spiegel quoted BDI as saying. BDI President Dieter Kempf doubts that China is developing towards a market economy and liberalism. Recall, the European Union has not yet assigned the status of a market economy to the Celestial. Government regulation of markets and prices by China leads to overproduction of steel. The same can happen in robotics. Chinese manufacturing surplus creates a huge trade deficit. The European Union compared to the United States, which imports $ 300 billion more from China than it exports, this figure is less - about $ 170 billion, but still substantial. German manufacturers offer over 50 measures to improve the competitiveness of Germany and the EU to the PRC. In particular, BDI calls for toughening the law on subsidies and subsidies. Although Chinese investments are welcomed by German business, it requires preventing Chinese Chinese companies from absorbing European technology companies. German business believes that Chinese goods should be checked in terms of compliance with European quality standards, and dumping prices - for subsidies. In 2016, the Chinese manufacturer of household appliances Midea Group acquired the fourth largest manufacturer of robots in the world - the German company Kuka AG. The amount of the transaction was $ 4.5 billion dollars. China also buys strategic infrastructure facilities in Europe. In recent years, Chinese investors have acquired or become shareholders in a number of ports and air harbors in Greece, Spain, Belgium, the Netherlands and Germany. In 2017, ChenChina bought the Swiss agro-industrial company Syngenta for 43 billion euros. In April, the American business publication Bloomberg wrote that over the past decade, Chinese activity in the Old World has become 45% higher than American. During this period, the Chinese have invested 318 billion dollars in Europe. 360 European companies came under the control of China, including the Italian tire manufacturer Pirelli and the Irish leasing corporation Avolon Holdings Ltd. Directly or partially Chinese business owns 4 airports, 6 seaports, 13 football teams and wind power stations in 9 EU countries. The Chinese, according to Bloomberg, are also eyeing the construction of nuclear power plants in Romania and Bulgaria, they want to buy a container terminal in Croatia, the Czech car company Skoda, Irish oil and gas concerns and a German telecommunications company. In order not to allow China to achieve a dangerous advantage over Europe, German industrialists want to achieve increased EU spending on science and research. The cost of science in the next 7 years, it is proposed to raise to 160 billion euros - that is, two times in relation to the current budget of the European Union. 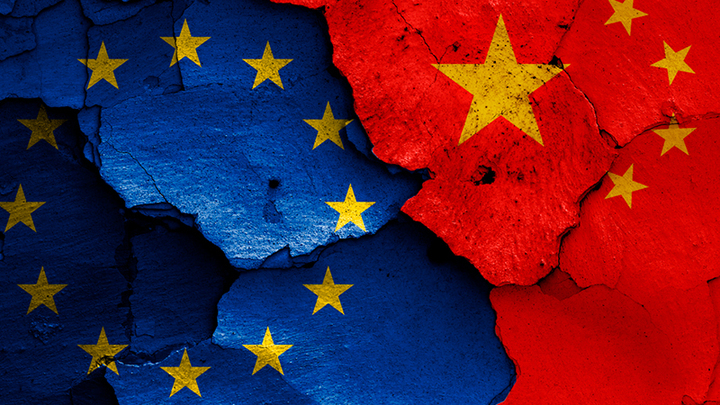 The Germans are outraged that while the Chinese enjoy unhindered access to the EU, the Chinese markets for European firms remain half-closed. Europeans expect that China will unilaterally go to liberalization, and then it will not be necessary to limit Chinese business in the EU. But the experience of the United States has shown that voluntary indulgences with the Chinese do not bear fruit. Donald Trump thrilled the Chinese three times to make concessions: first by introducing steel and aluminum tariffs, and then forcing him to increase the purchase of American goods in exchange for the refusal to introduce new duties. According to the latest agreement of Xi Jinping and Donald Trump, Beijing has pledged to increase purchases of agricultural and industrial goods, as well as to increase imports of gas and oil from the United States. In a trade dispute between the United States and China, Europeans are taking the side of Beijing and are in favor of free trade in the world. However, when the EU begins to incur the same losses in business with the Chinese, the thinking of Europeans will increasingly lean towards protectionism, which their ideological opponent Donald Trump is calling for. Perhaps because of the growing Chinese threat, the EU is rethinking its policy toward the US and Russia.